I read a lot of nonfiction, and more than a few memoirs. But my pleasure-reading tends towards showbiz tell-alls (next up: Tina Fey and Betty White) and pop-history (think Sarah Vowell). So when I was asked to review Susan Rosenberg’s An American Radical: Political Prisoner in My Own Country, I knew I’d be wandering out of my comfort zone. Barry Shrage has served as president of Combined Jewish Philanthropies (CJP) for over 20 years. We spoke with him just before Passover started to find out about how he celebrates with his family. How does Passover happen in the Shrage household? Who does cleaning, cooking, set up, what are the steps there? Well my wife does 85-95% of all the work. So I basically, my job is to take the cars to the car wash and make sure they are thoroughly vacuumed. This year, I’m supposed to be shampooing all the rugs, but I’ve never done that in the past. That’s going to have to be something I try to do this year. Also, I need to be there for the shopping — at least 2 shopping expeditions. We go to this crazy place called the Butcherie, in Brookline, and it is not a one person job. It’s a frightening place to be during the weeks before Pesach. And if you’re there like the Sunday before, you better get there at 7:30 in the morning because it’s a complete lunatic asylum. I’m talking about lines that run outside the doors and all that, so that would be something that I need to help with. And while I’m there I usually make a trip over to the Israel Book Store to figure out what new Haggadahs there are. How do you prepare for leading the seder? I try to write in new sources and figure out what we need to say and it depends on part on who’s going to be there, whether they’re all people who’ve had a lot of background. We’ve in recent years had a number of interfaith families who’ve joined us and for me, that’s an opportunity to join together the Christian story and the Jewish story. And help people to understand how deeply the Passover story intersected with the Christian story about Jesus and the crucifixion. So I do that. The ultimate message of the Bible in relation to Passover is entirely a message about feeling the pain of the oppressed and the stranger. It’s almost as if the whole experience of slavery was strictly to teach us what it means to be in pain and weak and have no one to take care of you. And it gets transformed through the story of the exodus from an individual idea into a group statement about justice and concern for the stranger. And yet there’s none of that in the Haggadah. You have to figure out, why is there none of that in the Haggadah. And the only thing you can say, since it’s so obvious what the Torah wants us to feel, and since it’s absent from the Haggadah, you know what, it’s probably that the Haggadah was written at a time when the oppression against the Jews was so deep that we could barely get out of our own misery to consider what the real meaning of this is. And that needs to be said some place. You just celebrated the birth of your second grandchild. Mazel tov! How has being a grandparent changed your perspective on Passover and sharing the story with another generation? It’s just been more fun. They’re both a little young to have much share with them. Noam is weeks old and Ayelet is 3 years old, but she’s very attracted I think to the party aspect of it. This will probably be the first time she’ll be asking the 4 questions at my house which will be very special. But I think for me, Judaism and the seder has always been about passing this tradition on to the next generation. So since I’ve had kids, it’s always been… you know, we didn’t make our own seder until we got to Boston 23 years ago. Before that, I was always going to my parents. And making the seder, it’s just so much more fun when you can craft it yourself, you’re not using the Maxwell house haggadah anymore, it’s a big step. At the end of Passover, what’s the first thing you eat when you can eat bread again? A bagel. A New York style frozen bagel which you get at the supermarket which toasts up really nice after Passover. Meet Josh Ruboy from The Butcherie. A member of the family who owns this Brookline institution, Josh has worked at the Harvard Street shop for twenty years. He’s a chef, overseeing the full-service catering arm of the business, with a hand in the prepared foods, the deli, and even the meat butchering in the back room. 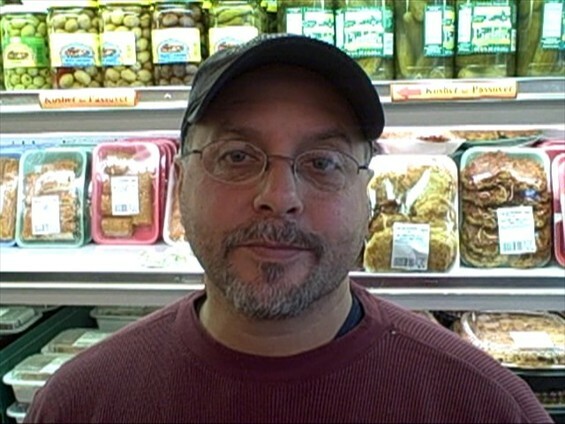 We chatted with Josh about Passover, the busiest time of year for The Butcherie. Passover’s not here yet, but you’ve been surrounded by it for almost two months now. Are you sick of Passover before the holiday even happens? Thank you for hosting a Passover seder! Here are a few tips to make it easy to lead a Passover seder that both you and your guests enjoy. If you’d prefer to read this in an easier-to-print PDF format, you can download that here. Need more resources? Visit our Passover Guide to see more of everything. A small amount of preparation can go a long way in making your seder fun for everyone, including you! Of course, we recommend that you use The Wandering Is Over Haggadah! It’s designed to take about 30 minutes from start to dinner and to be accessible to everyone. One of the best parts of a seder is that you can choose how to adjust your seder for your audience. What type of conversation do you want to have at your seder? Seders are designed to go off track. It’s through discussion that we explore how what happened so long ago is still relevant today. Look at the speech bubbles in our Haggadah and decide if they work for your crowd. To help get the conversation started, you may want to tip off some of your more vocal friends with the conversation topics in advance so they can have a first answer ready. Do you or your guests have favorite readings or traditions that you want to include? Some people like to enhance their seders with additional texts connecting the themes of Passover with the contemporary world or recent Jewish history (such as the Holocaust and the establishment of Israel). What types of songs do you want to include? Some people include songs from the American Civil Rights movement, while others like to include song-parodies, jokes or skits to help lighten the mood while explaining the Passover story. If you’d like to review the melodies for the more traditional seder songs, check out this online collection of song files: www.jewishbirthnetwork.com/passover-sing-along.html. 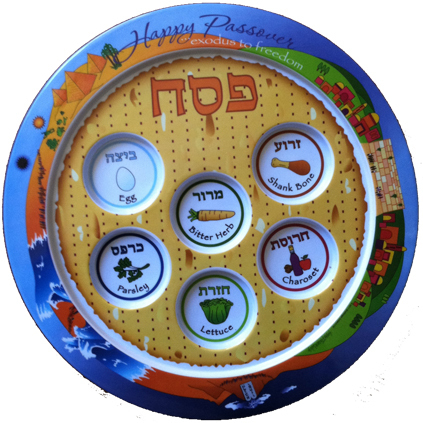 For silly seder song parodies, try this site: holidays.juda.com/passover-songs.shtml.